Refined Practice created a visual identity design including a logo and colours to be used in the design of business cards, letterheads and a website. 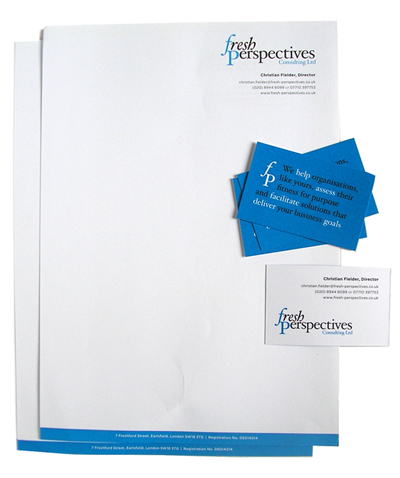 Fresh Perspectives wanted to present their new company with a consistent look which conveys authority without being boring. The design of the visual identity package was to focus on what Fresh Perspectives brings to their clients – a fresh and complete view of how their company is performing.